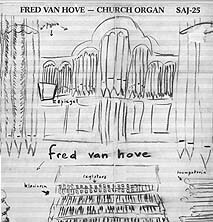 Fred Van Hove, church organ. Recorded 23 to 25 August 1979 at St. Peter Church, Sinzig/Rhein. Cover design (reproduced above) by Fred Van Hove.